It was a battle that wouldn’t be out of place in Peter Jackson’s Lord of the Rings, one man up against an army of 17,000 or, in the case of Hampshire’s Tony Knight, it was Willis, one of the biggest insurance brokers in the country. 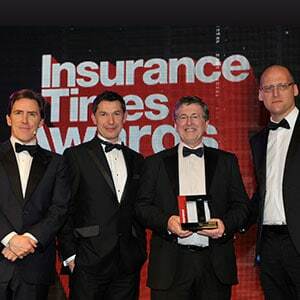 This epic encounter happened at the Insurance Times Awards 2014, hosted by comedian and TV presenter Rob Brydon and held at Battersea Evolution in London. Tony was reminded of the enormity of this challenge on reading a tweet about the entrants on his way up to town, but there again he should be a well connected fellow, as the category he was fighting in was ‘Excellence – Commercial Broker E-trading’. 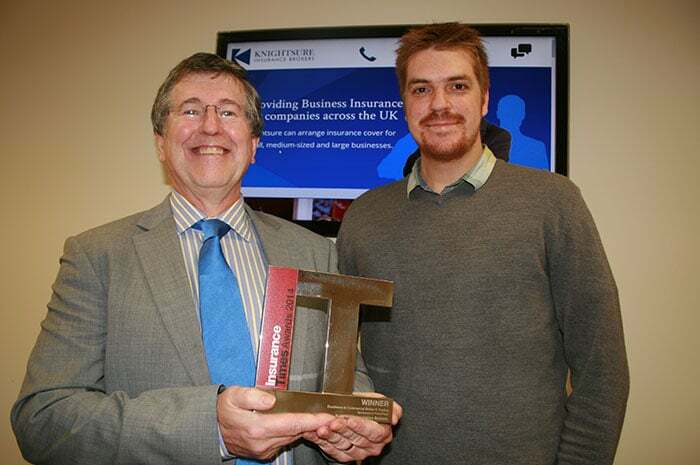 So when Rob Brydon read out that: “The winner of this category has really adapted to the commercial e-trading world to offer a very slick service to its customers.” Tony still didn’t think that his one man operation would win. The judges spotted that Knightsure have embraced technology in all aspects, with quotes, renewals, claims and timely documents all committed to an electronic delivery. The website, designed and built by Splice Marketing, was deliberately designed to appeal to businesses of all sizes, so whatever type of company was visiting, they’d select the relevant material. This entry was posted in News on December 24, 2014 by splice.